1. They have a good reputation. Like in many careers, a good reputation proceeds a good builder. Someone might say, “Oh, I know that company! They built the bank, right? They did a really great job.” Or, “That builder built our house! They were so friendly, and did a great job.” Listen to people’s opinions, and look at online reviews. Pay attention to both sides– negative and positive. Sometimes negative reviews could be a time issue when the builder simply could not build due to weather conditions. 2. They have a great portfolio and are willing to show it to you. Every builder should have a portfolio to show. If they don’t, this is a sign that you might want to look elsewhere. A good builder should have a portfolio in our modern day and age. A portfolio will help you get a good view of their style and range. If they are unwilling to show one, keep looking. 3. They can pinpoint homes that they have built. If a builder can pinpoint a home they built that you can drive by, this is a great sign. When you see a physical representation of their work, you will have peace of mind handing over your hard earned money. It’s helpful to have an example of their work because you will be able to see for yourself if you like what they do, and if it’s worth the price. 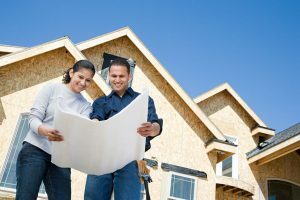 Finding the right builder can be a difficult process, but it is completely worth it when you find the right one for you. Make sure to do your research, and you will be set.